Denis Merchant does a weekly country music show in south-west Sydney. The program is called This Is Country on 2MCR 100.3FM, between 2:00pm and 4:00pm on Wednesday afternoons. As part of the This is Country program there is a Bluegrass segment and Dennis is looking for new Australian Bluegrass music to play and promote in his program. Dennis is looking to make contact with artists who may be able to assist with program material. If you are able to help him out please complete submit the contact form below, it will be sent to him. Having spent several years on community radio in regional Victoria I know how difficult it is to keep a program fresh and up-to-date. Bluegrass radio in Adelaide is under threat. Radio Adelaide has aired Bluegrass Unlimited, presented by Bill Lawson, for nearly 30 years to a sizeable and dedicated following; it’s the only bluegrass on radio in Adelaide. The licence is held by the University of Adelaide which is seriously considering closing the station down as a cost-cutting measure. This would be a huge blow to bluegrass (and community radio) in Adelaide, because apart from playing the music, the program is the only vehicle in Adelaide to promote gigs by local and touring bands. Bluegrass lovers throughout Australia are urged to help keep our great music alive in Adelaide by signing the online petition, which takes about 1 minute. Go to the Save Radio Adelaide Website to help. The petition closes on Friday 11th, so please don’t delay. The latest Roots Music Report lists the top 100 albums for 2012. The top album on the list comes from Russell Moore and IIIrd Tyme Out and titled, “Prime Tyme”. Roots Music Report compiles radio airplay data reported online from radio station DJ’s around the globe who play all forms of roots music. Each week they list which independent artists are being played the most on the listed stations. Radio presenter Bill Lawson has been presenting his radio show Bluegrass Unlimited for almost 27 years on Radio Adelaide. 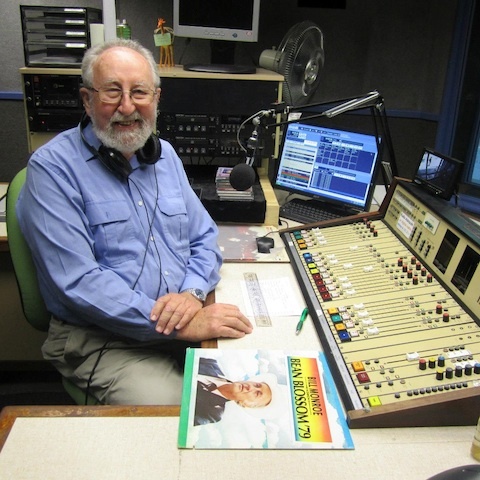 Bill has been the presenter in all that time, broadcasting on 101.5FM and streaming live through radio.adelaide.edu.au, every Sunday midday to – 1:00pm (Central time). Now Bill is celebrating the fact that his broadcast has gone National. Bluegrass Unlimited is now available to the nearly 230 other Australian community radio stations via the satellite service of the Community Radio Network. If there’s no bluegrass on the community radio stations near you, you could suggest that they pick it up; there’s a list of community radio stations at the Australian Community Radio website. Congratulations Bill on a fantastic achievement and on entering the national arena. This Saturday morning, 4th December, between 10:00am and 1:00pm Eastern Australian Daylight Saving Time, Geoff Morris will be celebrating his 350th bluegrass music show on worldwidebluegrass.com. This is a definite landmark, I think, and one I’d love to share with as many listeners as possible. Guaranteed we’ll have a joyous time, playing a few new tracks and many all-time favourites plus requests. I actually can’t quite believe that we’ve clocked up 350 shows but this Saturday definitely confirms it – Geoff Morris Wall-to-Wall-Bluegrass. Geoff’s popular Wall-To-Wall Bluegrass show can also be heard regularly on www.worldwidebluegrass.com each Tuesday morning for three hours from eleven a.m. and each Saturday morning for three hours from eight, Eastern Australian Standard Time. The Gibson Brothers are now blogging on bluegrasscountry.org. The Gibsons are posting their spring tour details, providing loads of photos, videos and a journal of their travels running from California through to Germany. 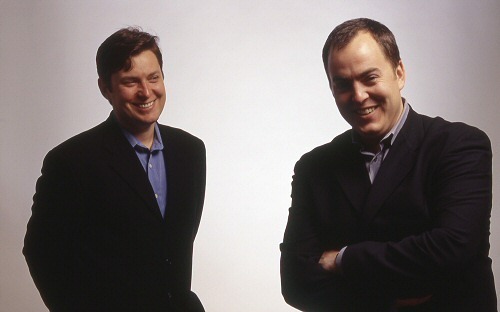 WAMU’s Bluegrass Country’s signal reaches around the world and heard by many. 2010 is the year of special correspondents, people who blog and cover events both far and wide on behalf of BluegrassCountry.org. Lynn Butler advises us that Butler’s Boudoir Bluegrass is going out tonight on www.ukcountryradio.com at 8:00pm British Time and then repeated tomorrow at 4:00pm. This month’s featured artists are – Monroes’ Revenge. Â Also being played tonight are Haybell Moyses and Bluegrass forum, The New Essex Bluegrass Boys, Radio Cowboys and Fred Morrison. Bluegrass Radio in Mackay, Qld. 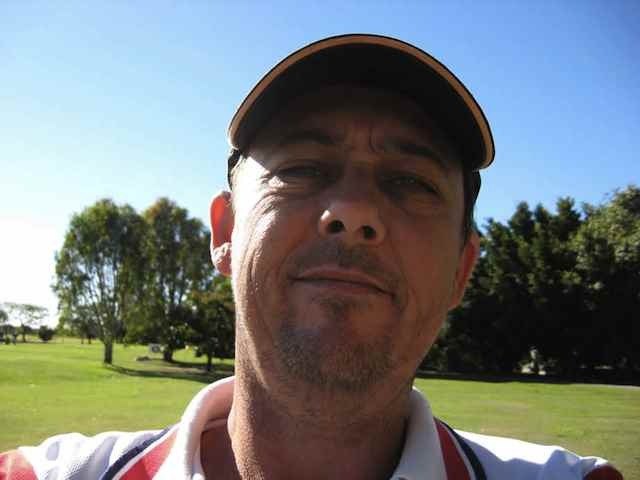 We received an email from Dave Eyles in Mackay North Queensland recently. Dave has been presenting a bluegrass music program on regional radio for some time. The station he broadcasts on is My105.9FM. We asked Dave to give us some background, particularly how he became involved in bluegrass music, and a little information about his radio program. First let me introduce myself. My name is Dave Eyles. I have been a resident of Mackay for some fifteen years. Growing up I had pretty normal musical tastes, until one day I walked into my local music shop and on sifting through their instructional DVD’s, I found Steve Kaufman’s Flatpicking Banjo Tunes. Now I don’t know what made me buy it, but the moment I played it, I knew this was what I had been looking for. This music was special to me and it was real music, played by real musicians. Since that time, I have been listening to everything that I could get my hands on. I have also been trying to learn as many tunes as I can – so many tunes so little time. This experience got me thinking. I had been doing a sports show on a local indigenous community radio station, up to that point. I thought it was my duty to try and promote bluegrass music and to get people to really listen to what most people thought was just hillbilly music. Thus, Dave’s Bluegrass Breakfast was born. MY-105 is a country station broadcasting out of Mackay in Queensland. The station reaches out to Sarina in the south and to Proserpine in the north,. The station’s reach will soon be extended to take in Airlie Beach and Bowen, thanks to a generous grant for a new transmitter from the Queensland State Government. My program airs on Sunday mornings at 8:00am and runs for an hour. I generally record the show on Saturday mornings. The program typically features a variety of artists from Norman Blake, Doc Watson, Bill Monroe, Ricky Skaggs, along with more contemporary artists such as Lonesome River Band, Chris Jones, Daily & Vincent, Chris Thile and Rhonda Vincent. I really enjoy Australian Bluegrass groups such as the Davidson Brothers, who have a big future. I also like to listen to progressive bluegrass and Newgrass. I like steel-string sessions which include anything with a bluegrass feel.